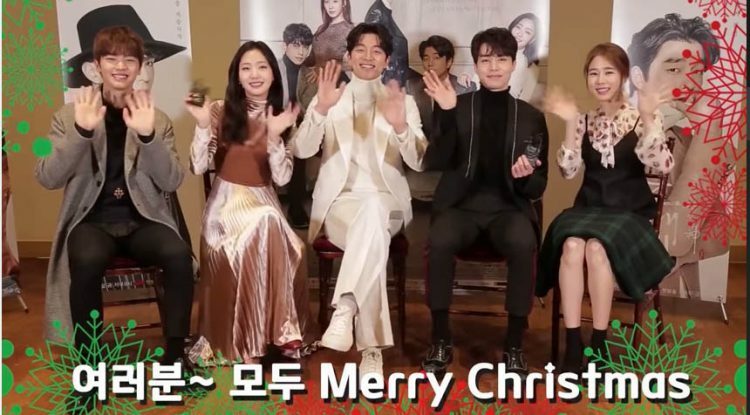 The stars of the Korean TV drama Goblin, from left: Yook Sung-Jae, Kim Go Eun, Gong Yoo, Lee Dong Wook, Yoo In Na. Have you been watching the Korean drama Goblin? It’s also known as Goblin: The Lonely and Great God or Guardian: The Lonely and Great God. In hangul it’s: 쓸쓸하고 찬란하神–도깨비. I wanted to share this holiday photo with you now, since I’m already a little late with it. I only discovered it today, though. I’ll come back here later to tell you more about Goblin.